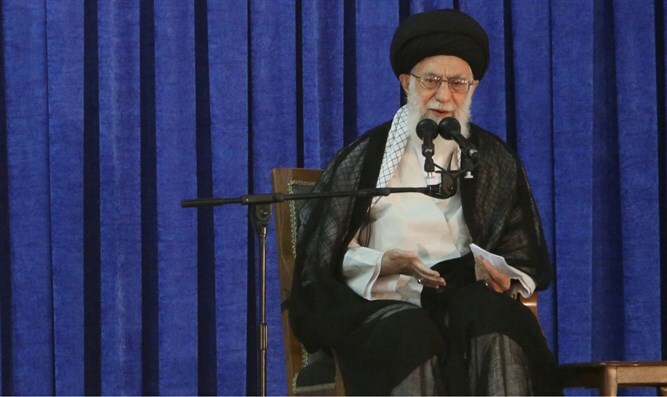 Iran's Supreme Leader says Iran should increase its military capability and readiness to ward off enemies. Iran should increase its military capability and readiness to ward off enemies, the country’s Supreme Leader, Ayatollah Ali Khamenei, said on Wednesday. His comments came in a meeting with Iranian navy commanders, Reuters reported, citing Khamenei’s official website. On Monday, he took to Twitter again to blast both Israel and the US. While his comments on Wednesday’s do not mention a specific “enemy”, Reuters noted that tensions between Iran and Saudi Arabia have increased in recent months as both countries compete for power and influence across the region. Saudi Arabia has repeatedly called on Iran to stop its “meddling” in the affairs of the kingdom's neighbors. Iran has fired back, accusing Saudi Arabia of trying to “drag the entire region into confrontation”. Last Friday, Iran's Revolutionary Guards detained a Saudi Arabian fishing boat and arrested its crew.